Friday 22nd March 2019, 6.30 to 9.30pm. Tickets £5 (£3 concessions), available from the Coffee Shop. Part of our 10th anniversary, 10-day celebration. Come along and enjoy an evening of culture! 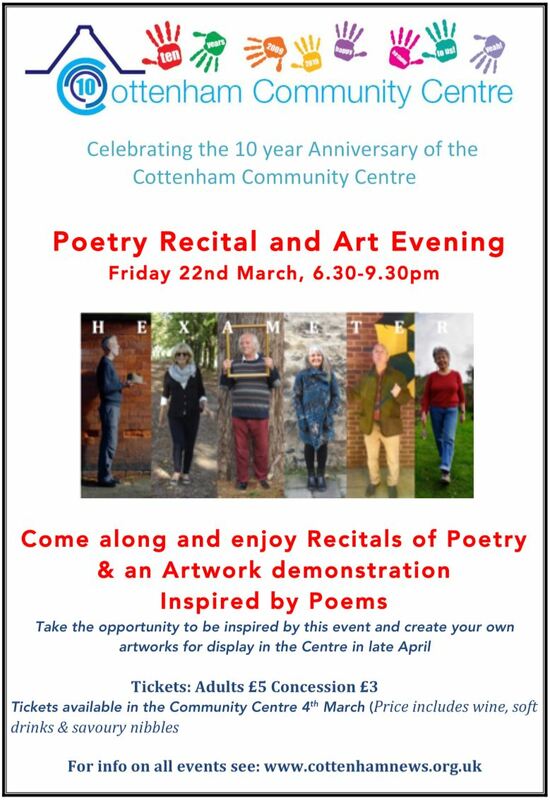 Poetry recitals will be combined with an art demonstration of mono prints inspired by the recited poems. Take the opportunity to be creative and take home a poem to inspire your own artwork which will be displayed in the Centre in late April.